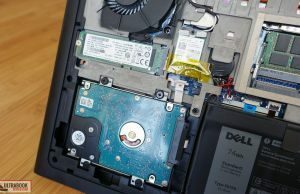 Summary: The Dell Inspiron Gaming is well appreciated in its niche, and for many good reasons. 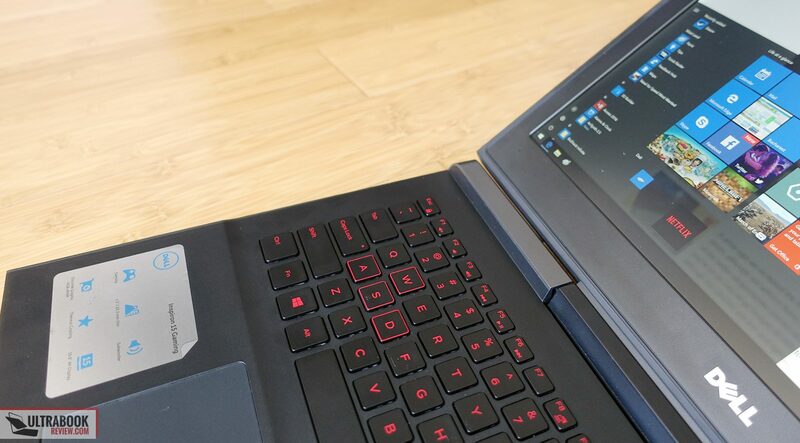 It's a well built computer with simple design lines, it gets a nice keyboard, excellent trackpad and big battery, it performs great in daily tasks and games, plus manages to stay quieter and cooler than most of the competitors. On the other hand, I wasn't that impressed with the speakers or the camera, which are rather minor flaws though, and while most configurations are aggressively priced, you should look carefully at the screens included with each option, as there are a few variants available, some with TN panels. Read on for the whole story. 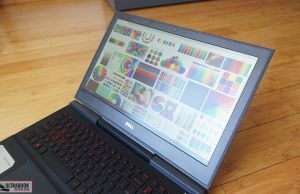 In this article we’re talking about Dell’s 15-inch Inspiron Gaming notebook, one of the most appreciated options in the $1000 gaming laptops category. 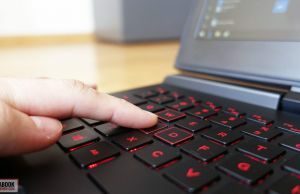 When it comes to mid-level mid-range gaming machines, you should expect well built laptops with a decent keyboard, average screens and hardware capable of smooth FHD performance with most modern titles. 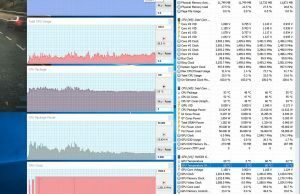 The Inspiron Gaming checks these requirements and compared to the competition, it also gets a large battery, quieter fans and even a lower price for some configurations. We got to test a top-specked version of this laptop, with Core a i7-7700HQ processor, 16 GB of RAM, dual-storage and an UHD matte screen. However, only the Inspiron 7566 model is available in my country as of right now. 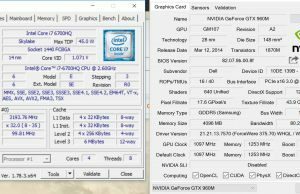 The newer 7567 models get the Nvidia 10-series graphics and are otherwise identical to the one reviewed here. 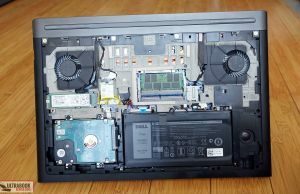 I’ve added details on what to expect from the various configurations of both the 7566 and 7567 series in the Hardware and Performance section, which means this review will be useful to anyone looking at any of the late-2016/early-2017 versions of the Dell Inspiron Gaming laptop. With that in mind, let’s find our where this notebook shines, where it fails and why people love it so much. 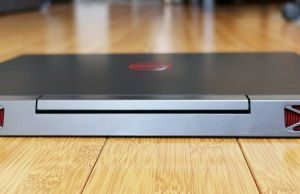 Update: There’s an new Inspiron Gaming laptop as of September 2017, with a new design, IPS screens, GTX 1060 MQ graphics and a smaller 56 WH battery. You can read all about it here. The Inspiron Gaming is made out of plastic, with a soft rubberized texture that feels nice to the touch and fends of scratches well. It’s available in two color options, black and red. The black one we got for this test is better suited for school and other environments where a bright red computer might not be accepted, but it does show smudges and fingerprints easily, so you’ll need to wipe it clean often. 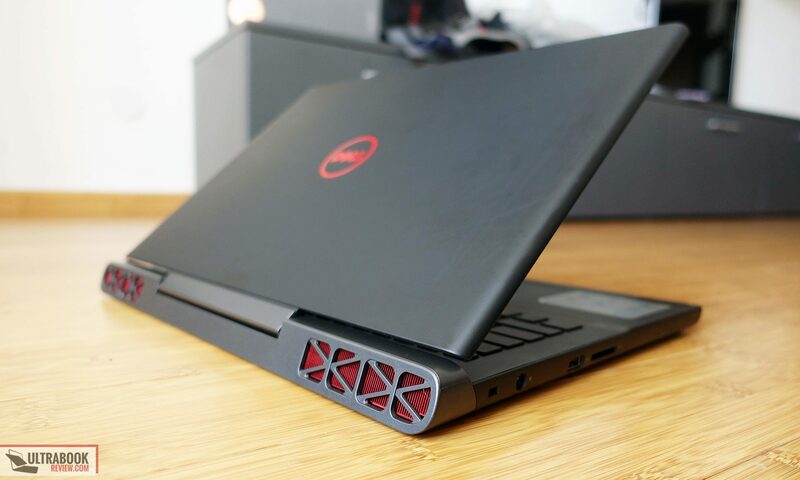 This black variant is not completely sober though, as it gets a few silver elements (the back edge and hinge) and red accents (the front lip, the Dell logo on the hood and the radiator’s fins on the back). 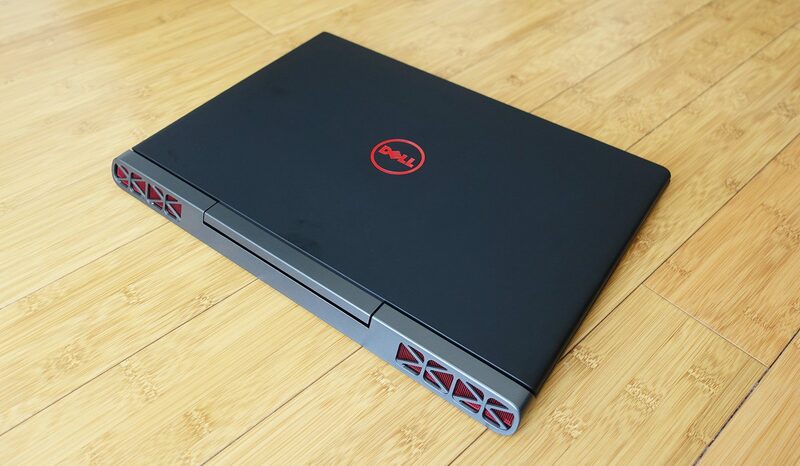 I’m usually not a fan of such design addons, but I believe Dell did a good job of mixing classic lines with a few elements that suggest this machine’s gaming DNA. 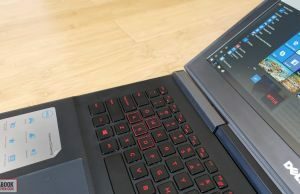 Looks aside, the Inspiron Gaming is a normal laptop with simple cuts and a very solid construction, with little give in the lid or the keyboard frame. 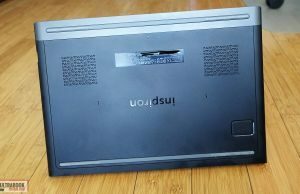 In fact, I believe this is pretty much the sturdiest laptop available in its niche right now. 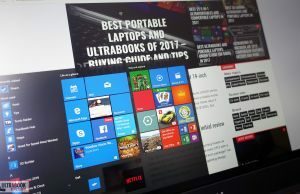 On the other hand, a slim profile or reduced weight were not on the list of priorities, as this laptop is about 1-inch thick and weighs 2.76 kgs, with the latter above the segment’s average. There’s a reason for that, as you’ll find out down below. My only complain on this laptop’s build are the sharp front lip and pointy front corners. They didn’t come in contact with my wrists, as the palm-rest is large enough to accommodate mid-sized hands in daily use, but those of you with larger hands might be find them painful. That aside, the Inspiron Gaming feels great to use and is fairly practical. 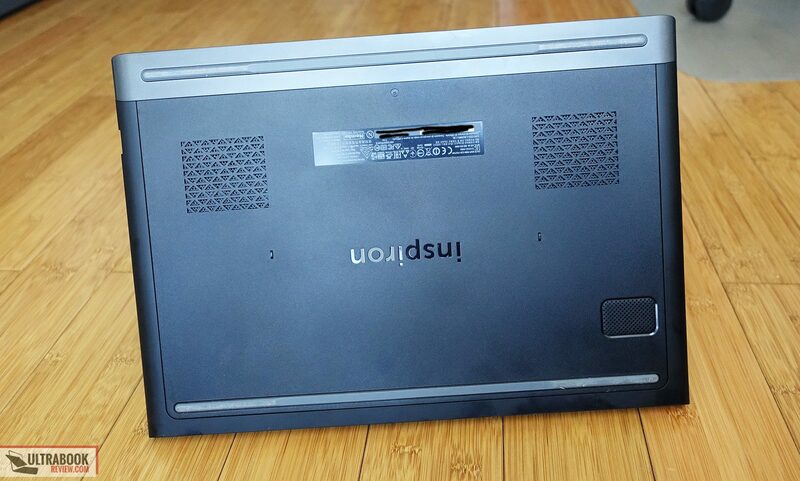 The screen is hold in place by a single hinge and it can be lift with a single hand, although the hinge is a bit sturdy and won’t give in easily. It does a great job at keeping the display as set up and leans back to about 140-145 degrees. 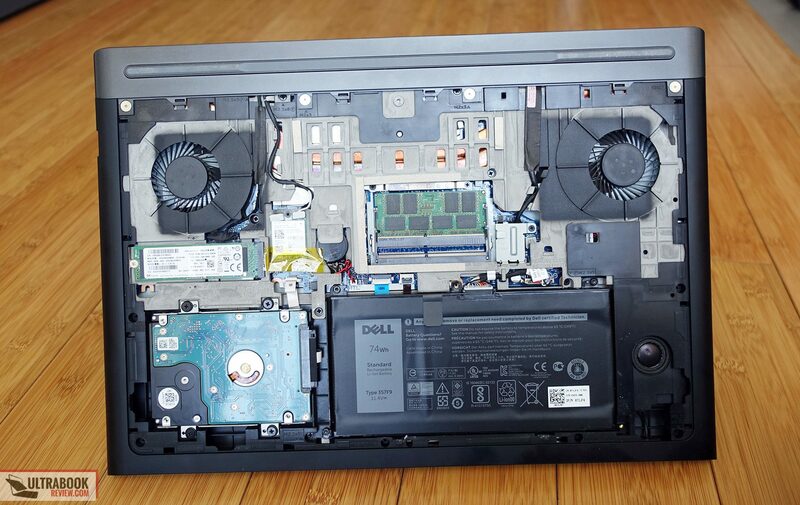 The interior is spacious and smooth, made from the same rubberized plastic as the outer shell, and what I also liked is how Dell didn’t implement any shiny lights on this machine. They even cut off the status LEDs, which means there’s little that could bother you when watching a movie in a dark room. Well, except for the always lit power button and the power plug, which just like on the XPS lines integrates a light that can’t be switched off, a blue one in this case (nothing some dot-tape can’t fix). 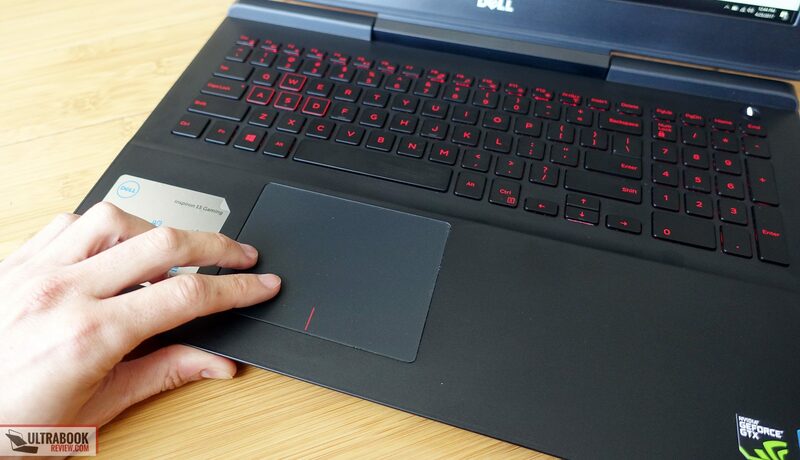 And while we’re complaining about tiny details, you’ll want to peel off those hideous stickers Dell puts on the palm-rest as soon as you get the laptop out of the box. 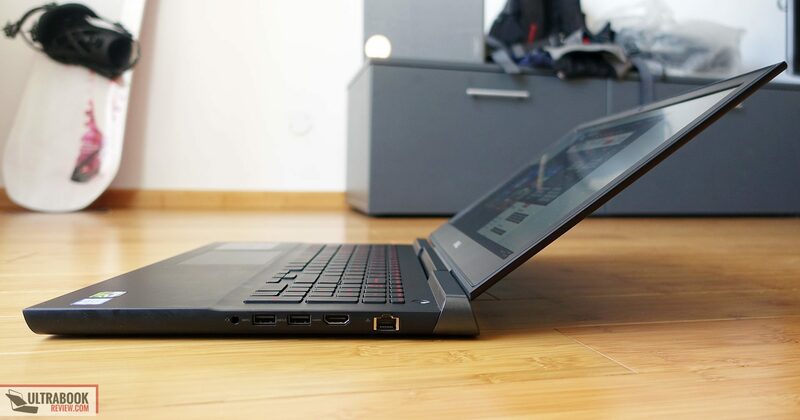 Flipping the notebook upside down you’ll notice two large rubber feet that nearly spread across the laptop’s entire length, as well as some air intake grills and the speaker’s cuts. 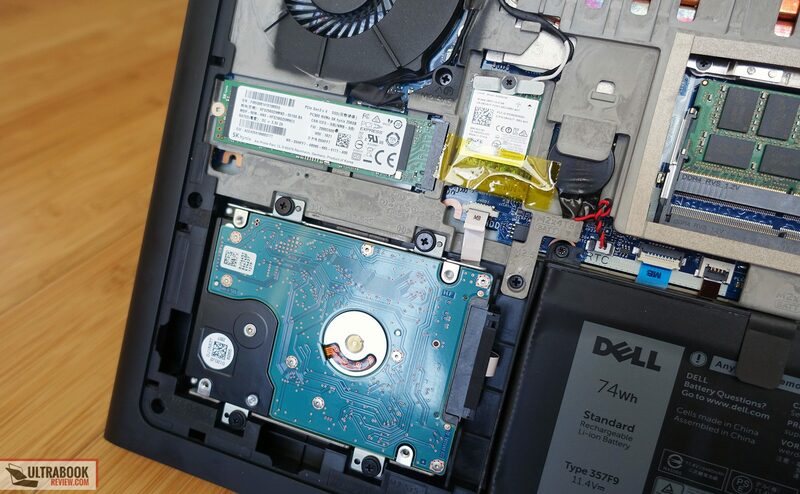 The entire bottom panel is hold in place by a single screw and allows easy access to all the internals, in case you want to upgrade your laptop in any way. 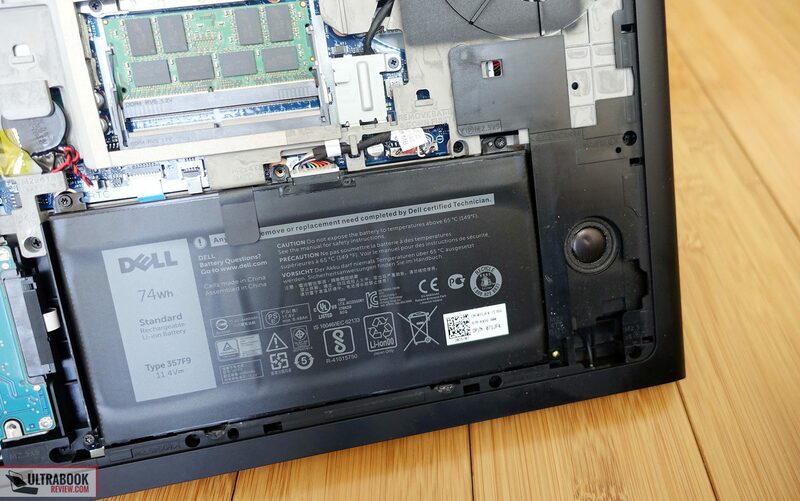 The RAM slots, the storage drives, the Wi-Fi chip, the battery and even the BIOS battery are easily accessible, yet in order to get to the cooling system (for repasting) you’ll have to get past the entire bottom frame. 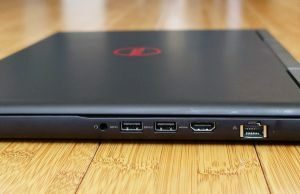 As for IO, it’s pretty much standard for a mid-range gaming machine, with enough USB slots, HDMI output, a LAN port, a card-reader and a headphone/mic jack. There’s no USB 3.1 slot though, and thus no Thunderbolt 3 either. 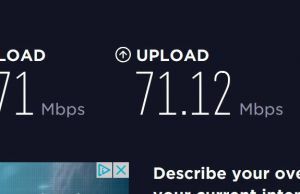 Not much else to add here, except for the fact that the SD card-reader is slow and most of the connectors are on the right edge, so using a mouse on a tight desk while having peripherals hooked up can get unpleasant. There are three different screen options available on the Inspiron Gaming and we got the high-end variant on this test unit, a 3840 x 2160 px matte IPS panel , the same one Dell also puts on the professional Precision lines. It’s a wide gamut panel with excellent color reproduction once you calibrated it (has a pronounced blue tint out of the box), great contrast and good enough brightness for indoors use, making it an excellent option for daily use, multimedia content and graphics related work. The White point is skewed towards blue by a fair amount though, so you’ll want to properly calibrate this panel if you plan to use it for professional work. 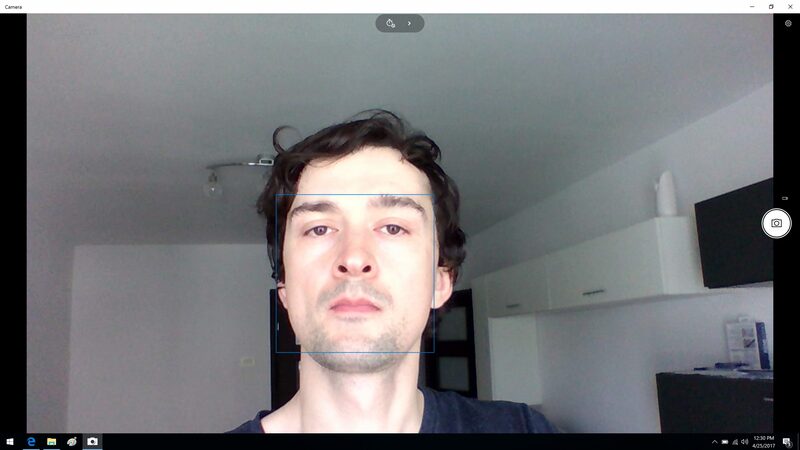 Average DeltaE: 0.87 uncalibrated, 0.64 calibrated. 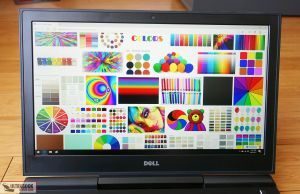 The UHD screen is an expensive option though, only available on the high-end configuration of this laptop, that sells for $1350 at the time of this post (1500 EUR across the pond). It’s also not the best match for the mid-level graphics chip inside, which is unable to push games at 4K resolutions. You can of course play games at FHD on this UHD screen, but the content won’t look as smooth as when playing at the panel’s native resolution. 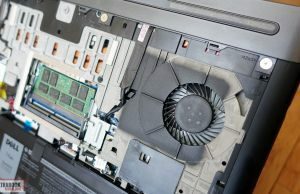 With that in mind, if you plan to get this computer primarily for gaming, you’ll be better of with one of the FHD screen options. 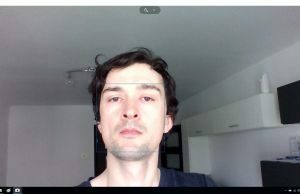 However, keep in mind most configurations come with FHD TN panel (AU Optronics B156HTN28H80), which is not awful, but is limited in terms of brightness, contrast and viewing angles, as you can see from this article. Mid level configurations get a FHD IPS panel though and that’s the one I’d recommend opting for. I was pretty happy with the keyboard on the Inspiron Gaming. It has a pretty standard layout for this class, with well spaced 14 x 14 mm main keys, but a cramped NumPad area and small directional keys, which are rather annoying in games and definitely takes time to get used to. That aside though, this keyboard types well. 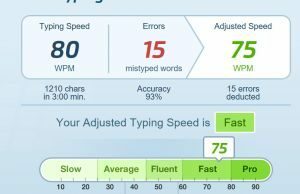 Some other reviews mention a 1.5 mm stroke and around 60 grams of force needed for actuation, I didn’t measure them, but I’m used to short stroke keys and I have nothing to complain about the overall feedback, response and feel of this keyboard. 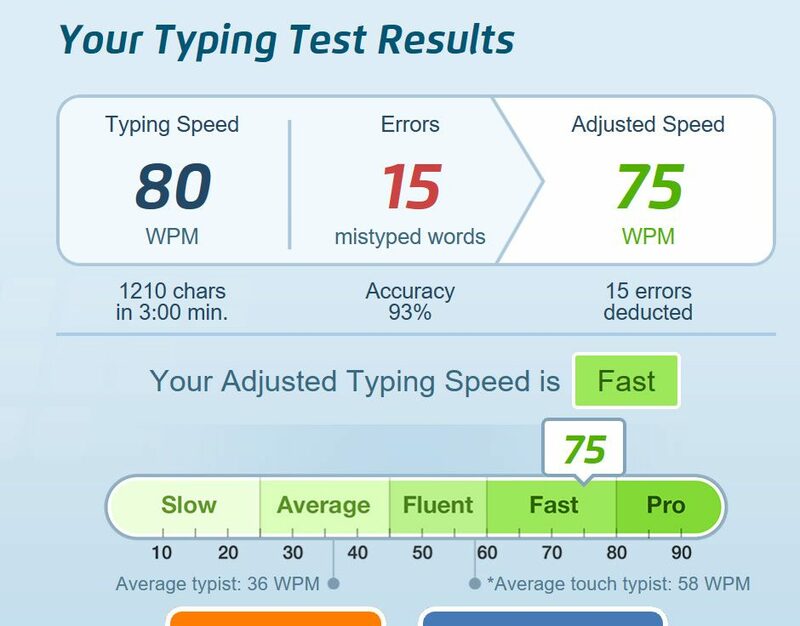 It’s also a fast and quiet typer (except for the Space key), but it took me a little time to get used to the idea that keys have to be pressed a little firmer to register, which caused a fair amount of missed strokes at first. This keyboard is also backlit with red LEDs. The illumination isn’t very bright and there’s only one level of intensity available, but it will do enough in a dim room, where you’ll actually need this feature. As far as the trackpad goes, it’s a plastic clickpad with Microsoft Precision drivers, and while it’s not as smooth as the glossy surfaces and not very configurable either, it performed flawlessly during my time with this laptop. It handled swipes, gestures and taps well, and it also did a good job at figuring out when I kept my thumb on the click areas and when my palm was around. 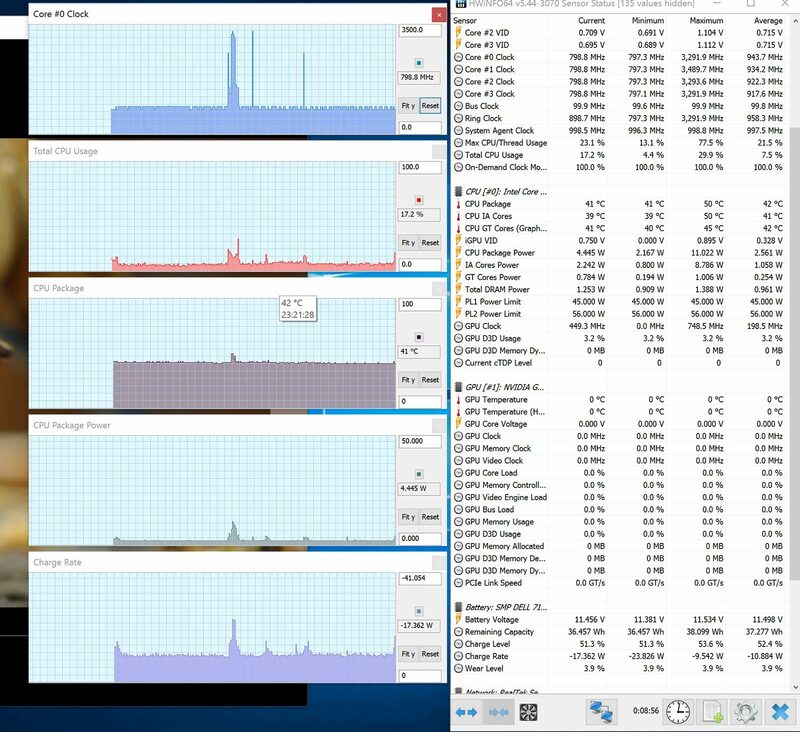 Last but not least, the physical clicks were better than on most other laptops too, albeit perhaps just a bit clunky. As I mentioned in the beginning of the post, we tested a Inspiron Gaming 7566 configuration, which means it comes with a Core i7-7700HQ processor, 16 GB of DDR4 RAM, dual-storage and an Nvidia GTX 960M graphics chip. The newer 7567 variants are built on Nvidia GT 1050 and 1050 Ti graphics which offer much improved performance in games, as you’ll see below. 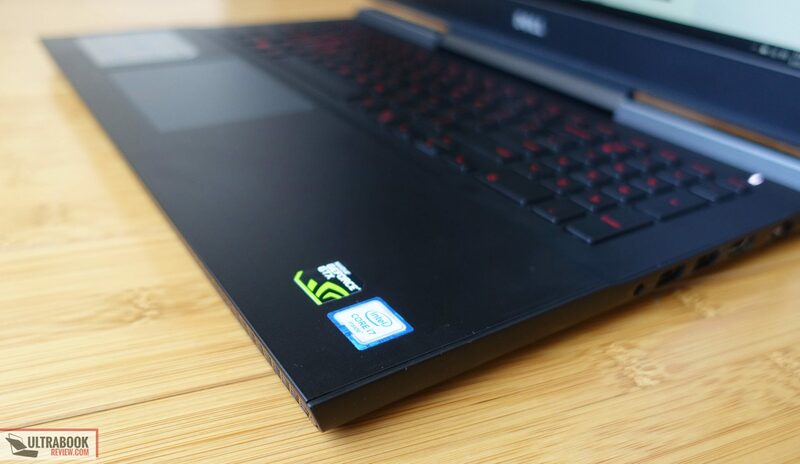 Before we proceed, I must add that this notebook is also available with a Core i5-7300HQ processor, which is a quad-core CPU, but without the HyperThreading available on the i7, thus a bit slower in benchmarks and demanding multitasking activities than the i7, but otherwise just as capable in games. As far as RAM goes, there are two DIMMs inside and can take up to 32 GB of DDR4 memory. 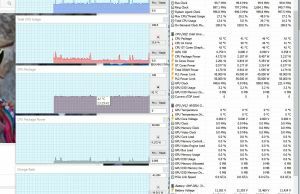 16 GB should be enough for most activities and games, while 32 would show performance gains in 3D rendering or video editing software. Last, but not least, we have the two storage options. Our version comes with a 256 GB M.2 SSD drive and a 2.5-inch HDD. The M.2 port supports B-key 80 mm drives, thus both SATA and PCIe options are compatible, while the 2.5-inch bay comes with the connectors included even if you choose to buy a configuration without an included HDD. 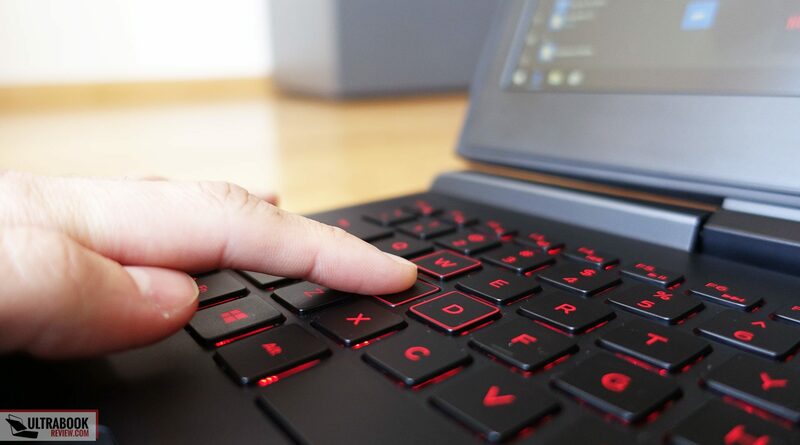 Performance wise, the Inspiron Gaming flies in daily tasks and multimedia use. There’s a fair amount if preinstalled bloatware though, so you’ll want to get rid of it or get a clean Windows install on your unit. 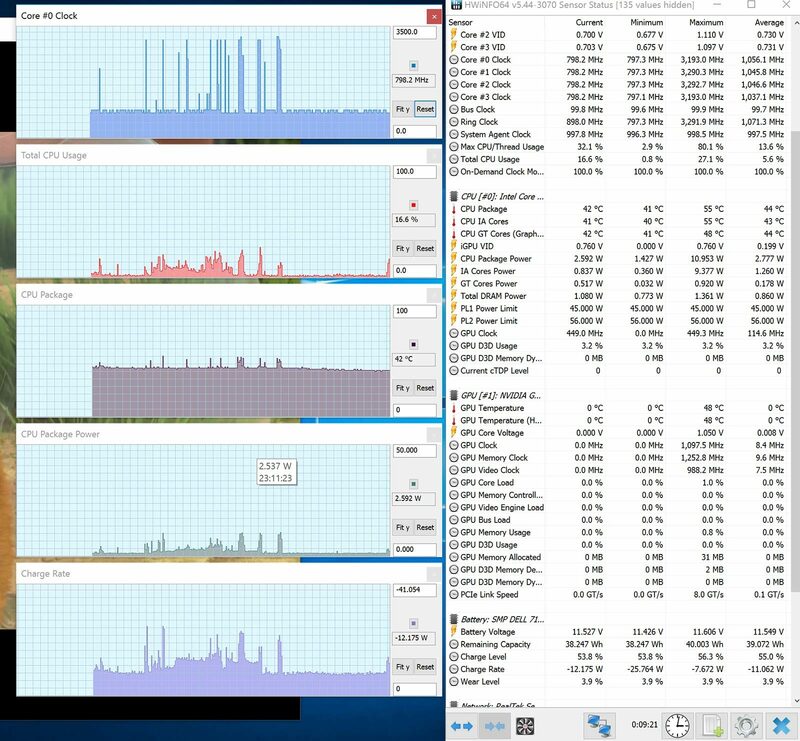 The PCIe SSD on our configuration sure helps, as well as the amount of RAM, which also helps with serious multitasking, demanding software and games. 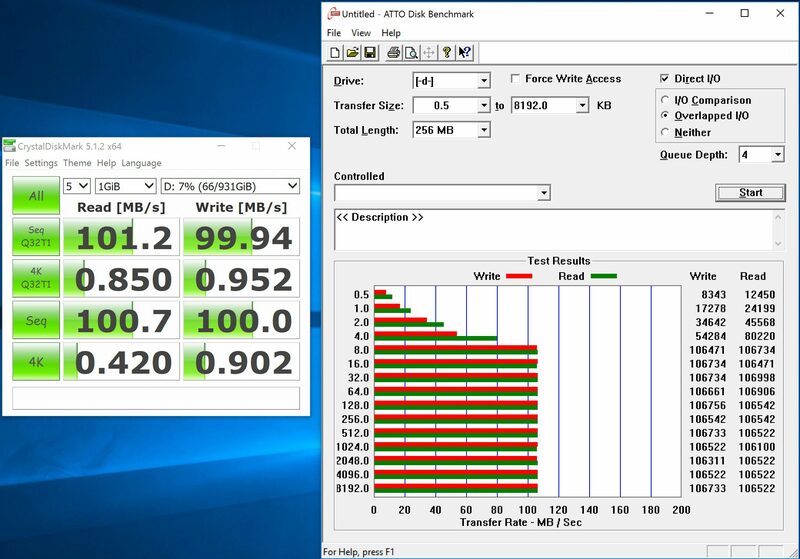 When it comes to games, our version comes with the Nvidia 960M graphics cip, but I’ve added below the benchmark results of the 1050 and 1050 Ti configurations as well, for comparison. 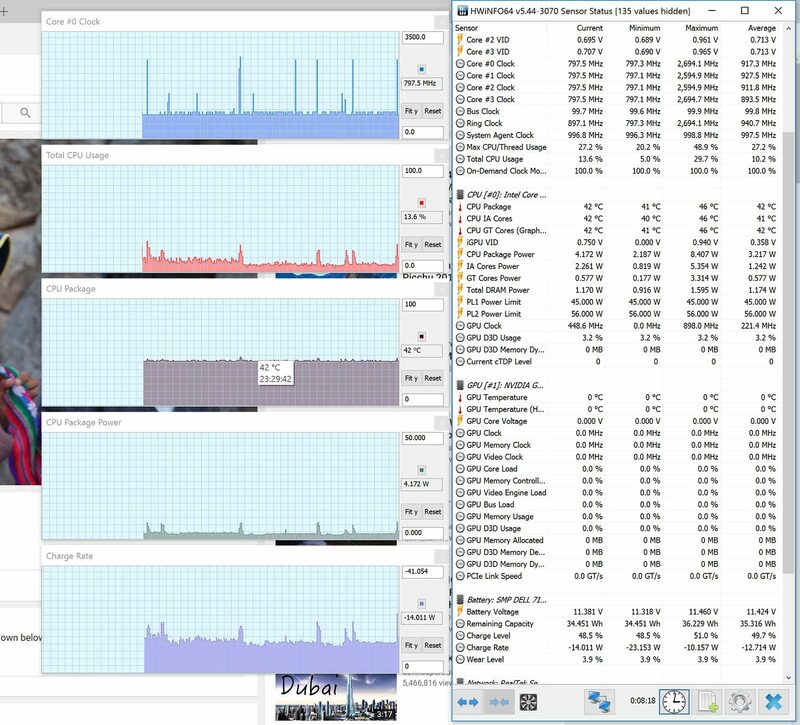 The RAM and storage also have an impact on the scores above, but the main differences are caused by the different GPUs. 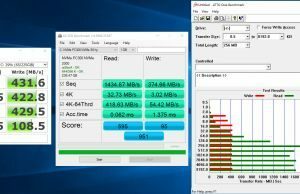 I also added the gaming results you should expect from the three chips in a few different titles, based on our experience with the test unit, other reviews of the newer Inspiron 7567 and our own experience with other laptops built on the 1050/1050 Ti chips (more details in this article). Bottom point, I wouldn’t get a GTX 960M configuration unless it is seriously discounted and you’re not getting this computer primarily for gaming. The 10 series graphics are so much better. That aside, when it comes to the choice between the 1050 and 1050 Ti chips I recommend the latter. 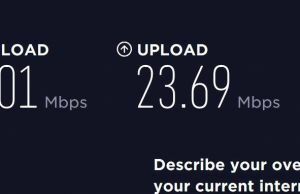 It’s a $50 to $100 upgrade and it’s 10-20% faster than the 1050 in games and benchmarks, so well worth paying for in my opinion. 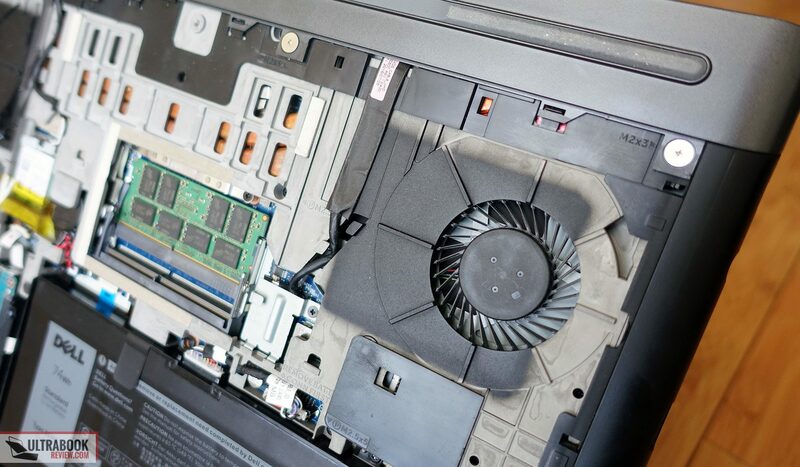 Like most other laptops in this class, the Inspiron Gaming gets two fans inside, in charge of keeping everything cool. 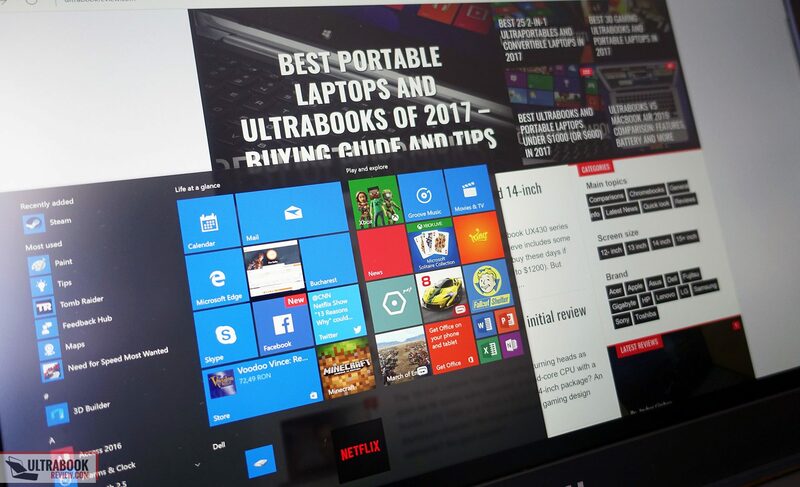 However, what’s unusual is how they manage to remain completely inactive with everyday tasks, including browsing and watching movies, which means that this notebook has the potential to run very quietly. Our test sample came with a spinning HDD though and its roaring was quite audible, but it can be dumped or replaced with an SSD. I also noticed a little bit of electrical noise, but only notable when putting the ear next to the laptop’s back, so I don’t think it should bother users with daily use. The fans are activated by more demanding tasks and games, and they can get fairly noisy after playing for at least 30 minutes. We measured a peak noise level of 45 dB at head-level, measurements taken with an iPhone app that sets the environment noise at 33 dB (a completely silent room). 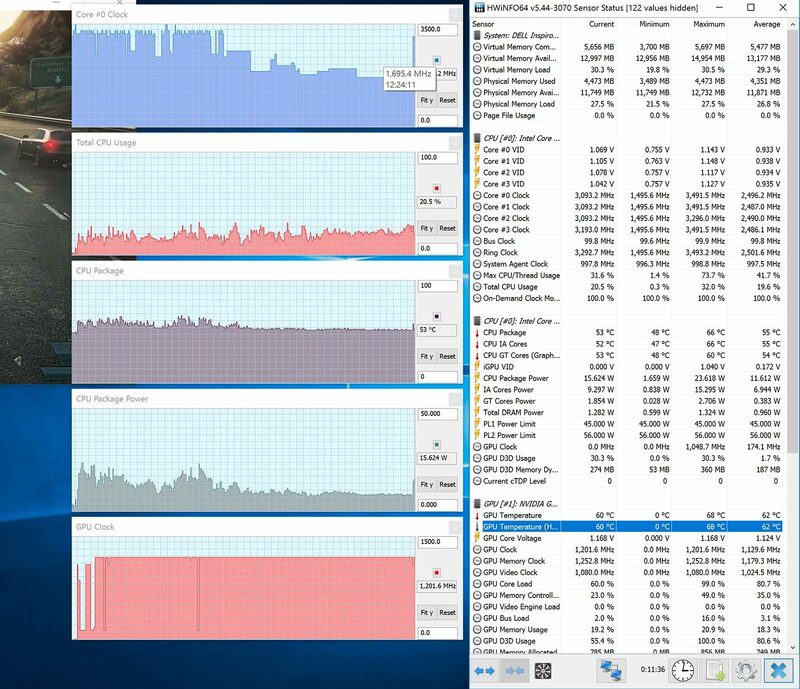 As far as temperatures go, the Inspiron Gaming remains cool even at high loads, as you can see below. 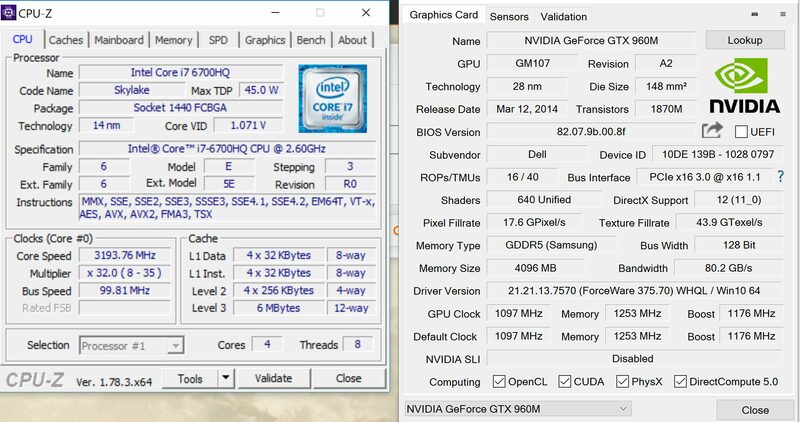 Keep in mind we tested the 7566 variant with GTX 960M graphics, the GTX 1050 and especially 1050 Ti will probably run a little hotter. We’ll update this section once we get a hold on any of the newer configurations. Connectivity wise, the Wireless AC, Bluetooth and Gigabit LAN on this laptop. We mostly used it on Wireless and the Intel AC 8260 module Dell went with is a pretty good performer both near the router and at medium distances (30 feet, 2 walls in between), where the speeds and signal strength drop, but not to the point where I would notice sluggishness or buffering in browsing and video streaming. 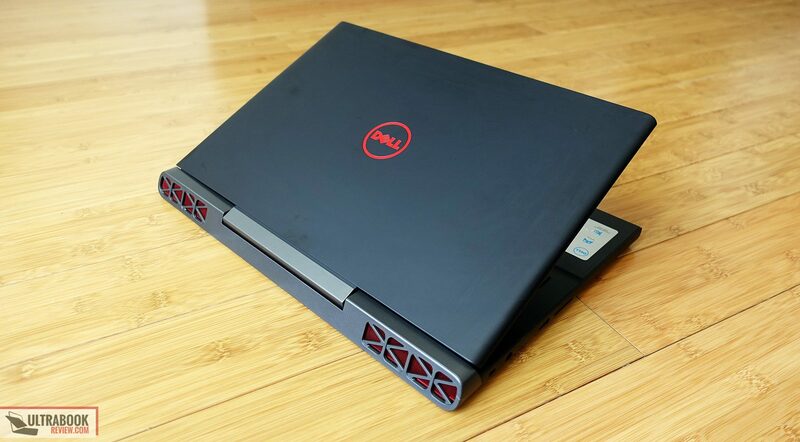 The audio quality is supposedly one of this laptop’s selling points, as the Inspiron Gaming comes with a 2.1 speaker system with two front-facing speakers firing through the red mesh on the front lip and a subwoofer placed on the belly. In reality, I wasn’t that impressed with my test unit. Yes, these speakers are fairly loud (up to 87 dB at head level) and yes, the subwoofer makes a difference when compared to other laptops in the niche, however, the audio quality greatly diminishes at volumes above 50-60%. 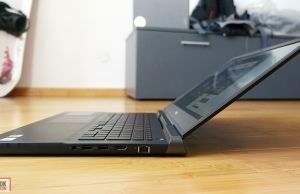 Past that, I noticed severe distortions and vibrations into the laptop’s frame, which pretty much make the sound awful. Besides this aspect, I feel that the front-facing speakers are fairly directional and you’ll only get their potential if you’re sitting right in front of the laptop. I’ve checked out a few other reviews of the Inspiron Gaming and most actually praised these speakers, so either I got a dud, or I’m more finicky about sound. Either way, give these a try once you get the laptop and let me know what you think about them in the comments section below. One last thing we should address here is the camera. Dell went with a 720p webcam placed on top of the screen which is rather mediocre in my opinion, taking grainy and washed out images even in bright environments, as you can see in that picture above. 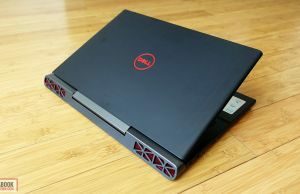 The Inspiron Gaming is a little heavier than other laptops in its niche and that’s mostly due to the fact that it gets a larger 74 Wh battery. That’s great news and it allows it to run for a fairly long time on a single charge. The scenarios below will show you what to expect. 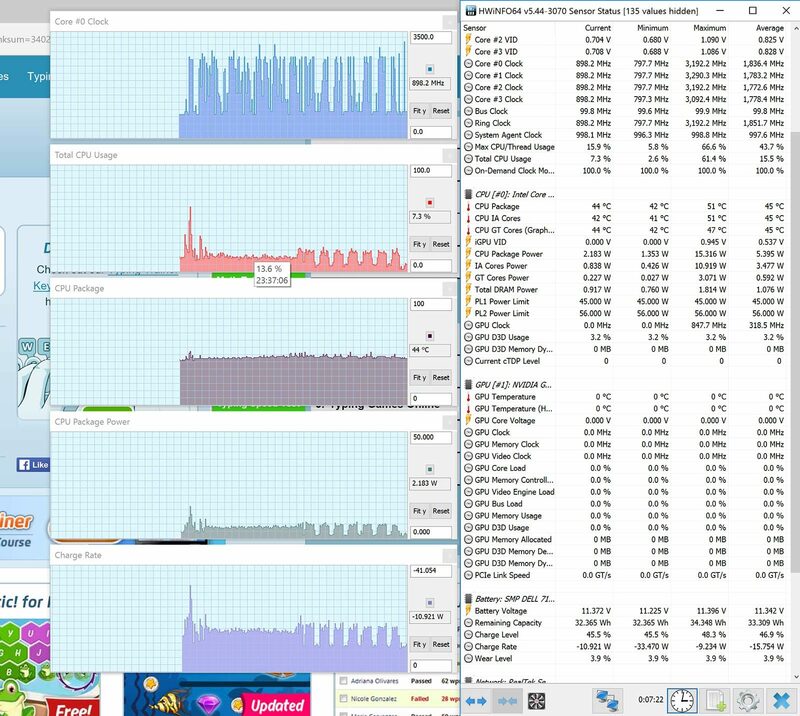 17.8 W (~4 h of use) – heavy browsing in Edge, Balanced Mode, screen at 30%, Wi-Fi ON. Opting for the FHD screen should increase these numbers by a fair amount . 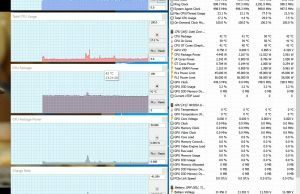 Dell bundles the laptop with a 130 Wh power brick and a full charge takes between 2 to 3 hours. 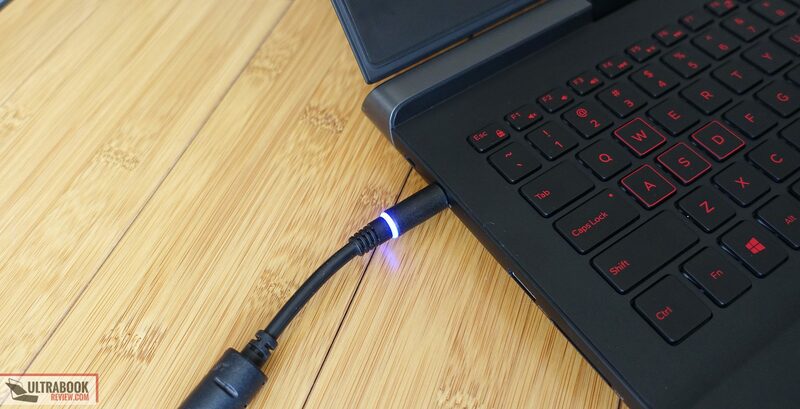 And while we’re here, I do have to mention one more time that annoying blue LED integrated within the charging tip, which can’t be turned off and bugged me when using the laptop in a dark room. Again, duct tape comes to save the day, but I really don’t get the point of these LEDs Dell keeps adding to their chargers. The Inspiron Gaming is available in shops in most parts of the world. It’s very competitively priced in the US, but not that much in other regions.. If you’re living in the United States you can get this laptop for $849 and up, but actually even cheaper with various coupons and occasional discounts. 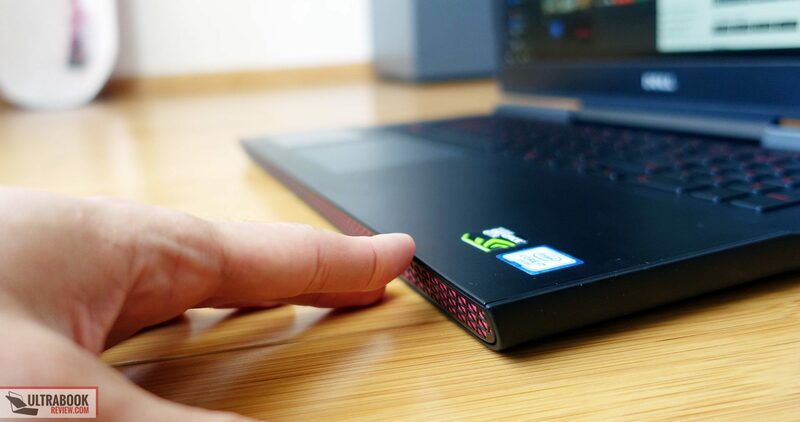 The base version comes with a Core i5-7300HQ processor, 8 GB of RAM, a 1 TB HDD, Nvidia GTX 1050 graphics and the TN FHD screen, so there’s no SSD and you’ll have to accept the pretty crappy TN panel. $899 will get you a 256 GB SSD instead of the HDD and the GTX 1050 Ti graphics, which is the best-buy option for gaming on a budget. You’ll still have to live with the TN screen though. If you’re willing to spend more, a Core i7-7700HQ configuration with dual storage, GTX 1050 Ti graphics and a FHD IPS panel is listed for $1199 on Dell’s website right now, while $1349 can get you the UHD screen and a 512 GB SSD. 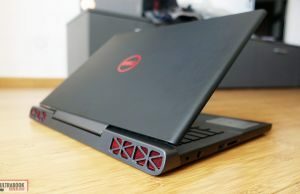 The Inspiron Gaming is more expensive in Europe, with the base configurations selling for around 999 EUR and the top models with the UHD screen going for 1499 EUR. Keep in mind these are the configurations and prices available at the time of this review, so you should follow this link for updated info at the time you’re reading the article. There are a lot of good gaming laptops with GTX 1050/1050 Ti graphics selling for around $1000-$1200. 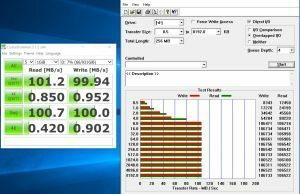 If on a tight budget the $899 Inspiron configuration mentioned above is one of the best GTX 1050 Ti configurations, but Acer and Lenovo offer similar ones with better screens. Acer Nitro 5 – $899 – Core i5-7300HQ, GTX 1050 Ti, 16 GB RAM, 256 GB SSD, FHD IPS screen, 48 Wh battery. 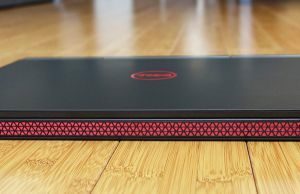 MSI GE62 Apache Pro – $1249 – Core i7-7700HQ, GTX 1050 Ti, 16 GB RAM, 256 GB SSD + 1 TB HDD, FHD IPS screen, optical drive, 51 Wh battery. 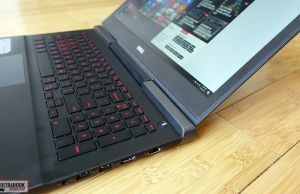 We’ll analyze all these options in a different article, but it looks like the Inspiron Gaming is competitive at base and top levels, but outpriced by the competition in the mid-range configurations, where the Acer Aspire VX15 (reviewed here) proves to be a solid alternative. 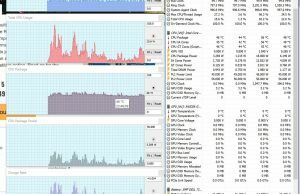 There are many reasons why the Dell Inspiron Gaming is so well appreciated in its niche. It’s a well built computer with simple design lines, yet a few red accents that the young buyers will appreciate. It also performs great in daily tasks and games, and manages to stay quieter and cooler than most of the competitors. 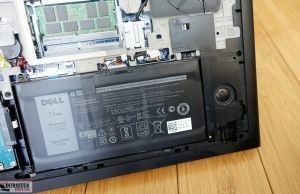 Besides these, Dell also put a good keyboard on this laptop, an excellent trackpad and a big battery. On the other hand, I wasn’t that impressed with the speakers, which in my opinion are average and not that big selling point advertised in the brochures. 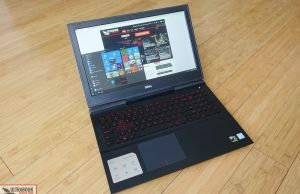 The pricing matters a lot at this level too, and the basic configurations of the Dell Inspiron Gaming are affordable, but come with TN screens. The Acer Aspire VX15, Acer Nitro 5, Acer Aspire 7 and the Lenovo Legion Y520 get IPS displays in the same price-range, yet each has its other flaws and nits, as you can read in our reviews. 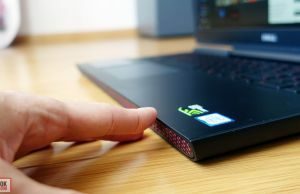 IPS screens are also available on the Inspiron Gaming, but at the $1200 mark the FHD IPS configuration no longer has the price on its side, as it swims in the same waters as all the other options with Nvidia 1050/1050Ti graphics. The UHD screen configuration can also be an option, but only if you’ll need that kind of panel with 100% adobeRGB color coverage for your work, otherwise, for gaming, stick with a FHD screen configuration. Or better yet, at this point go for a Nvidia GTX 1060 laptop instead. 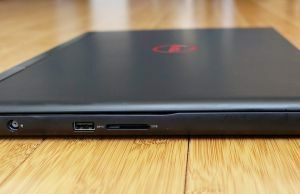 Bottom point, if you’re after a gaming notebook in the $800 to $1200, the Inspiron Gaming is definitely one of the options to consider, and it gets more attractive towards the low-end of that budget. It’s not without some flaws, but I expect most to be able to live with them just fine. 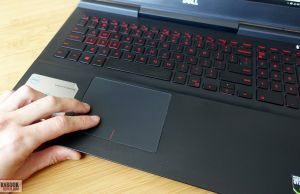 That wraps up our review of the Dell Inspiron Gaming, but the comments section below is open for your impressions and questions, so don’t hesitate to get in touch. this is the review i've been waiting for, thanks in advance andrew. Which configuration? We have reviews for both here on the site, but if it's primarily for gaming, the Helios comes with GTX 1060 graphics so it shoudl do better. Worse battery life though, and average screen. I think that if you are going to purely game on it, then the Helios is the better choice, because of the GTX 1060. 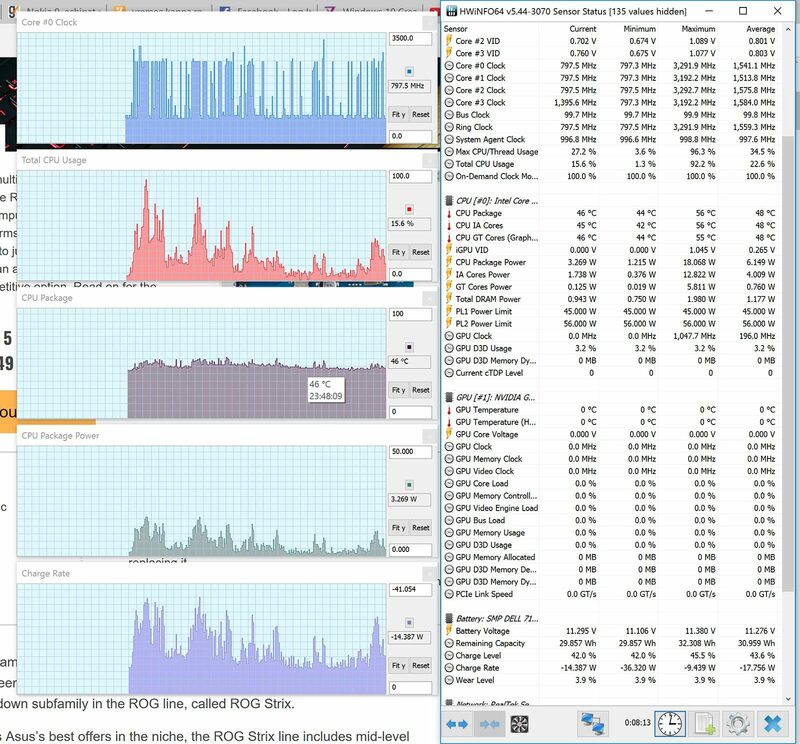 If you are going to do anything else though, then the Dell has way better battery life, a better screen if you go 4K, more upgradability and a slightly smaller form factor. And it is slightly cheaper than the Helios even if you spec it out. I got the specced out Dell and I don't regret it, but it up to you mostly. They stack up very well with each other, so it is up to personal preference and what you would actually use you laptop for. Which Is the duration of the battery in games? Hi Andrei and great website! What do you think about the Dell Inspiron 7560? I cannot find a review on your website but it seems a very good machine for a really good price. Do you agree? Yes, it seems a pretty solid pick but I haven't reviewed it so cannot comment at this point. It gets a pretty small battery though, just like the Asus Vivobook S510 with whom it shares many in common. In UK it comes at £799 and it seems a very good price, isn't it? 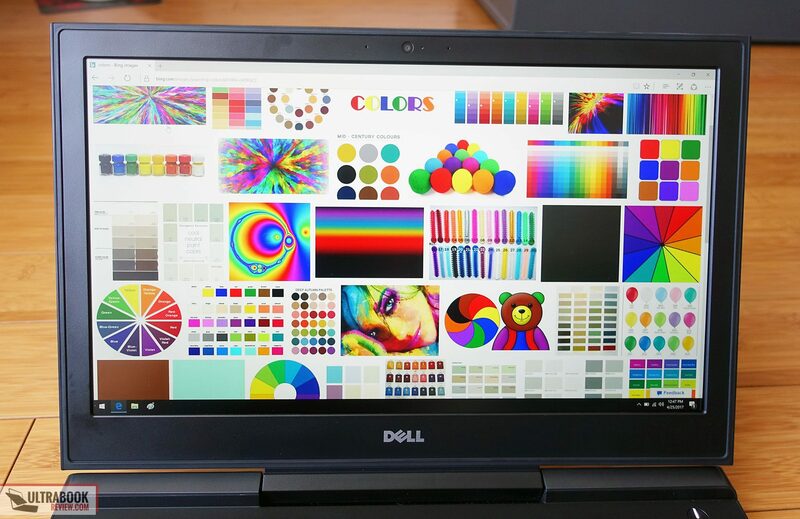 Any suggestion for a similar ultrabook (processor i7, ssd, good screen) but with 14'' screen? I'm not up to date with UK prices, but that seems like a very good price if it's the i7 with SSD and an IPS screen. 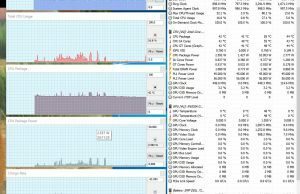 There are some nice 14-inchers out there, but most of them are way above that budget, like the Lenovo IdeaPad 520s, Asus Zenbook UX430 or Asus Pro B9440. There's also the new Acer Swift 3 and Vivibook S410 you could consider, but I don't think those are available in shops yet. 14 inch ThinkPads and Latitudes are also very expensive, there's usually a significant premium when going from a 15 to a 14-incher.